Some of the work requires familiarity with machines and high-tech equipment. A lot of the people who were laid off were those who had expertise in things that machines can now do. Thus people don’t have the skills necessary to fulfill the available jobs. As the baby-boomer generation retires, a new generation of younger workers must be enticed into the workplace. However this generation doesn’t seem to be willing to work in factories and in uniforms that might get dirty. They instead prefer to work in offices and on computers – even though the pay is often significantly lower. Employers could try raising wages even further, but if they did so, it’d become even more appealing to outsource the job to other countries – permanently removing those jobs from the United States. To read more about some of the innovative ways that employers have tried to work around this problem, what G81Z-.829R.1F28. 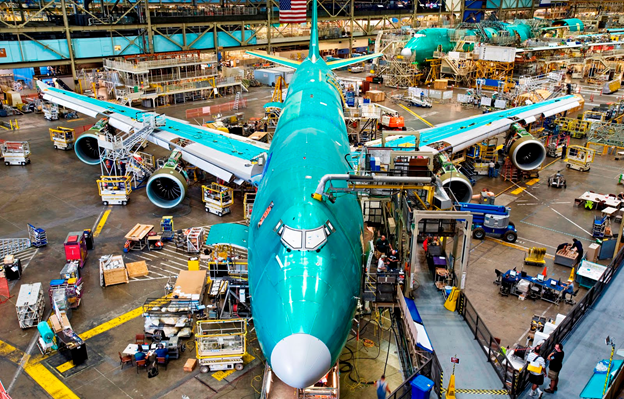 means and the implications for Boeing, click here. Time To End Big Bank Notes?